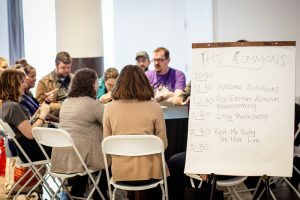 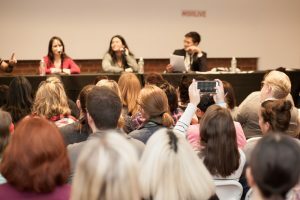 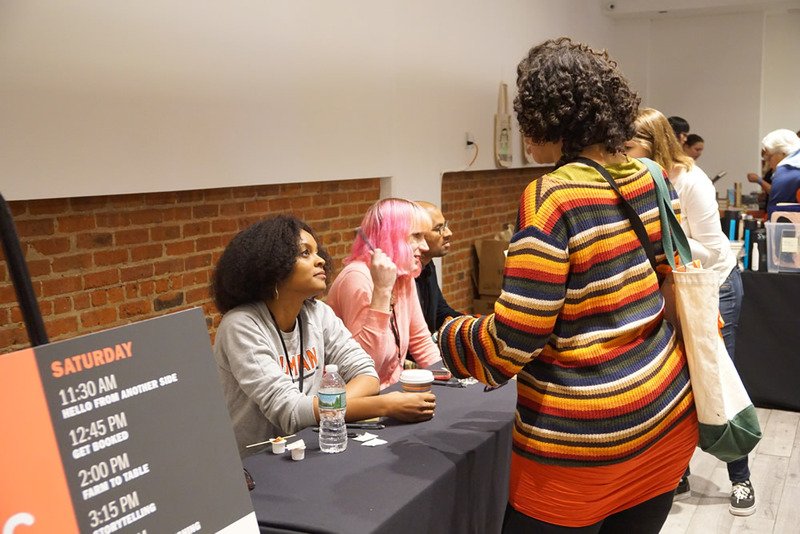 For our second year, Book Riot Live hosted 40+ speakers and 1200+ attendees across November 12 and 13. Rebecca Schinsky and Walter Mosley, in (hilarious) conversation. 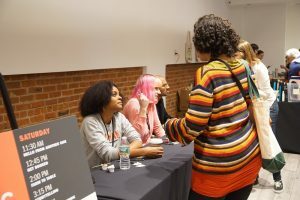 Left to right: Authors Alyssa Cole, Charlie Jane Anders, and Rumaan Alam sign books and chat with attendees after their panel. Book Riot Live 2016 started out with a barbaric group yawp, courtesy of Rebecca Joines Schinsky, Jeff O’Neal, and Amanda Nelson. 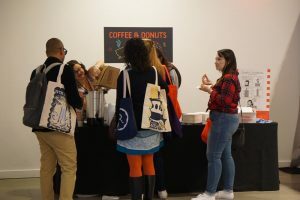 There’s always a crowd around the coffee and donuts table! 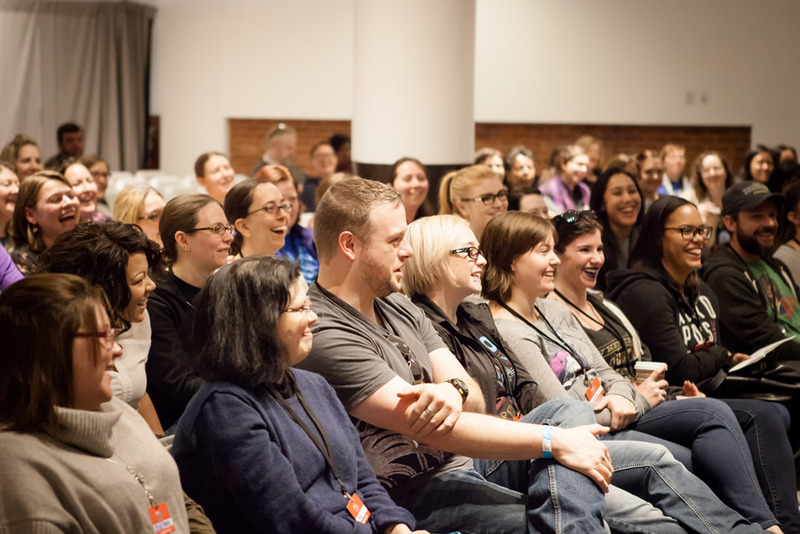 This year’s Nerd Jeopardy included contenders Mara Wilson and Sara Farizan. 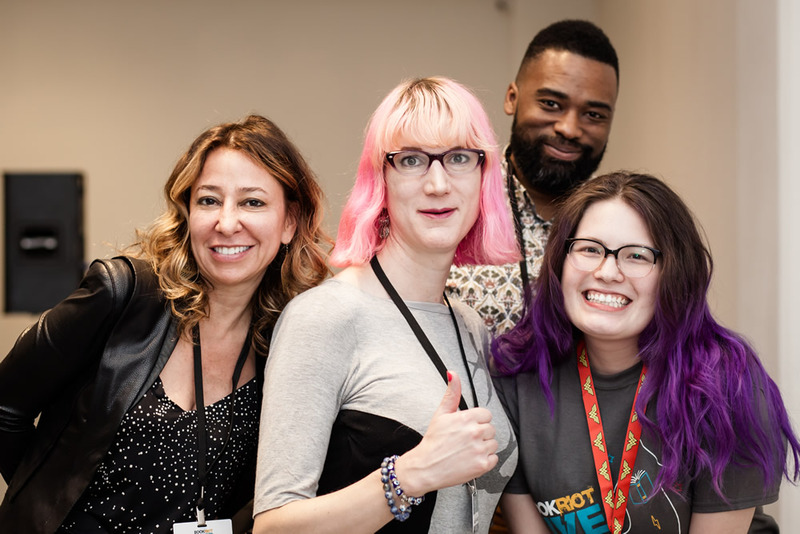 Left to right: Janna Levin, Charlie Jane Anders, Valentine De Landro, and moderator María Cristina Garcia Lynch after their Future What Now panel. 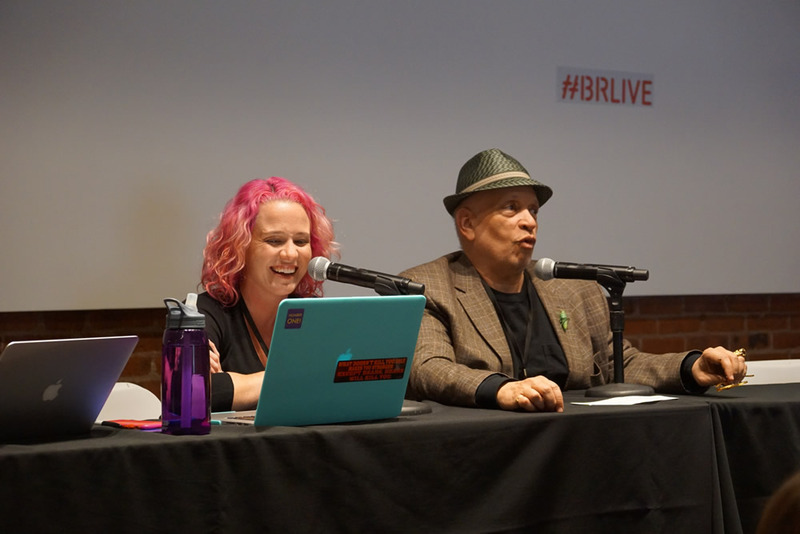 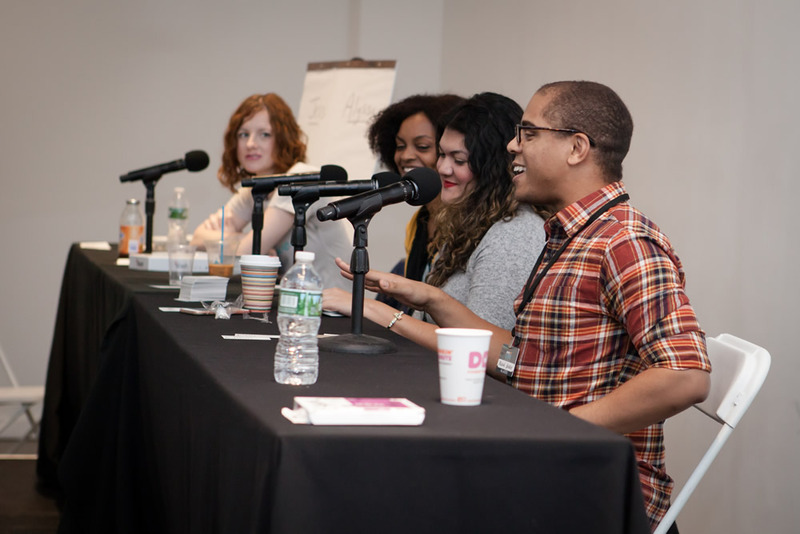 Big laughs were had at this year’s Slash Live with moderator Jessica Plummer and Alyssa Cole, Zoraida Córdova, and Michael Strother. 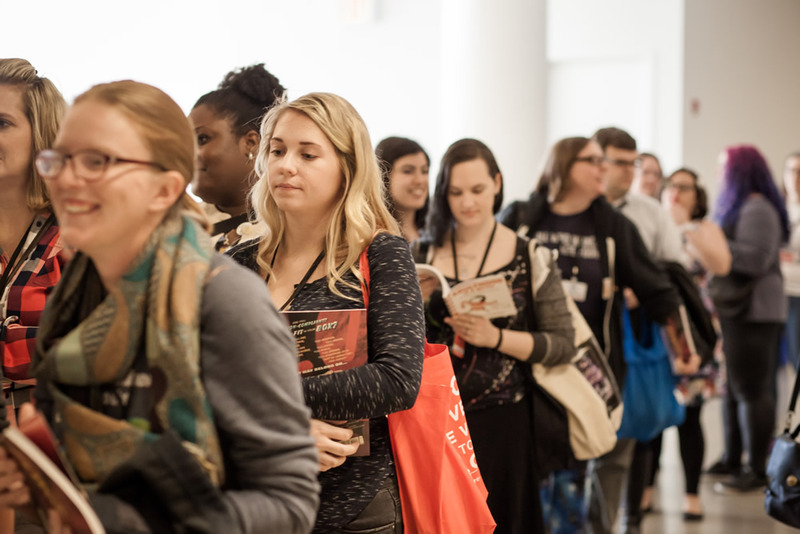 An epic signing line for comics artists Valentine De Landro and Sarah Andersen. 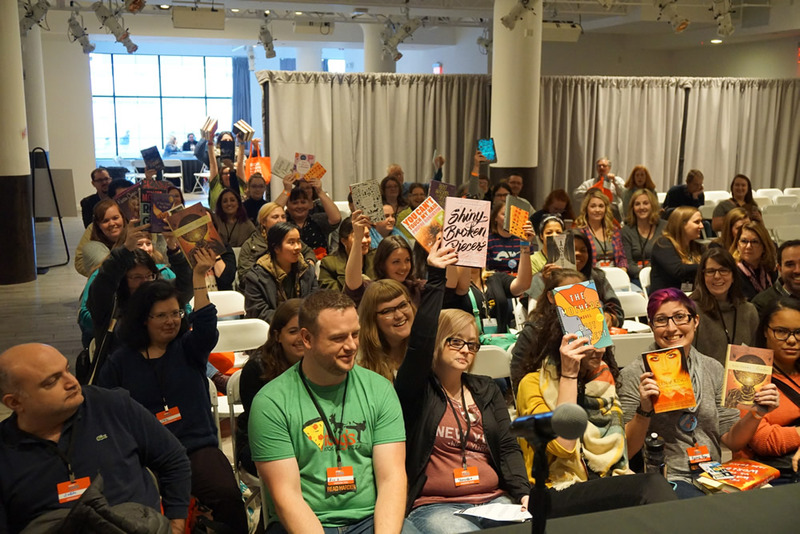 A very well-read crowd was in attendance in 2016. 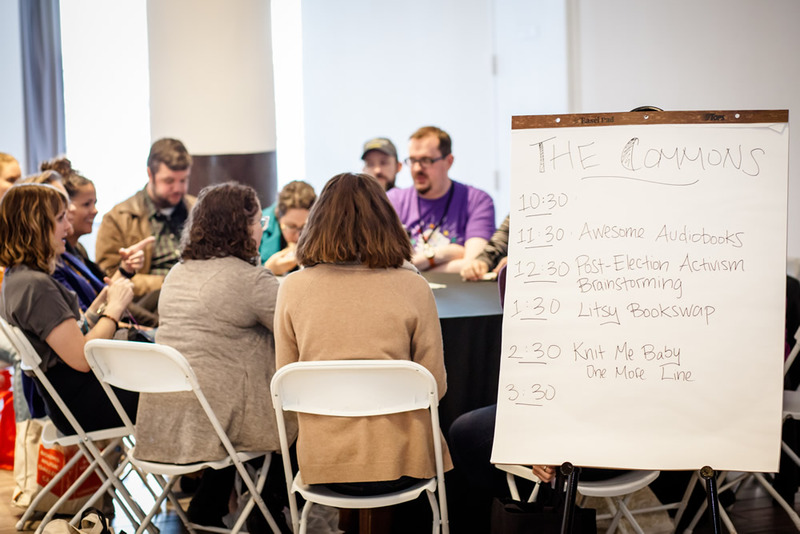 The Commons meet-up area in full swing. 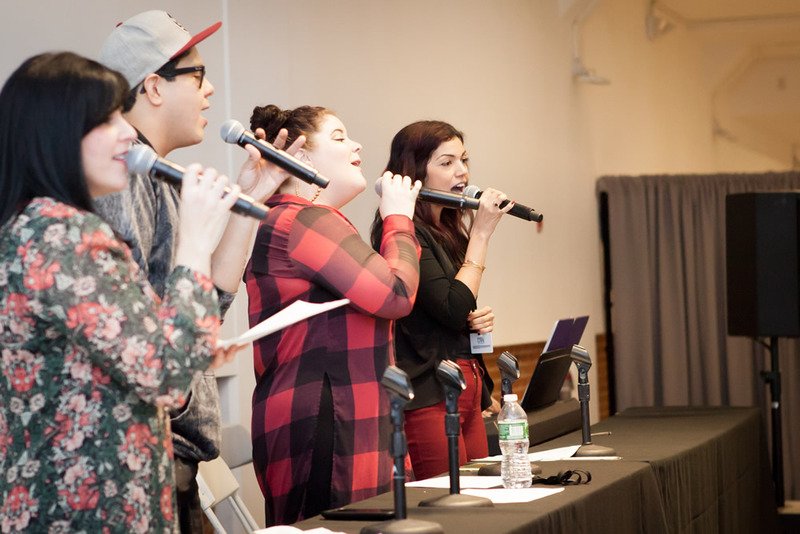 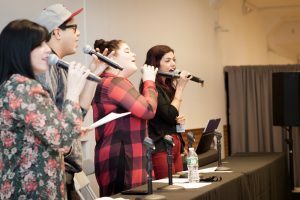 Left to right: moderator Rita Meade and performers George Salazar, Ryann Redmond, and Isabel Santiago lead the audience for the Bookish Broadway Sing-Along. Big laughs during a panel’s Q&A. 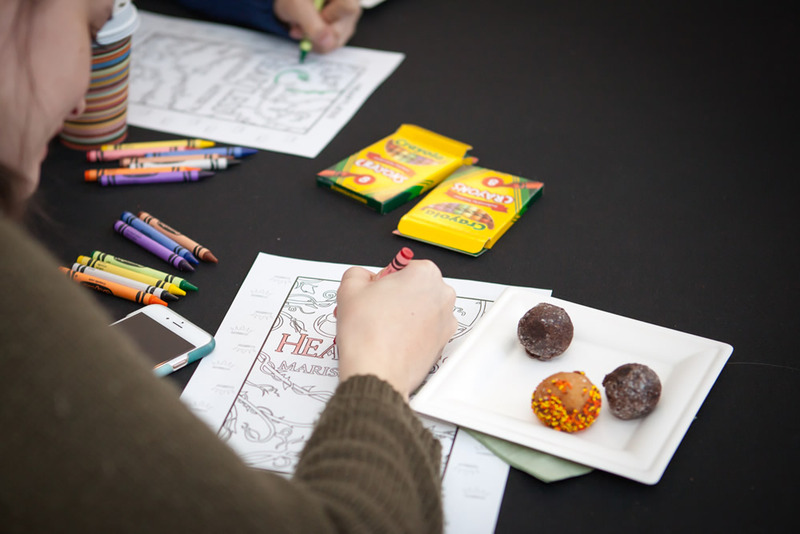 Why just color when you can color AND eat a donut? 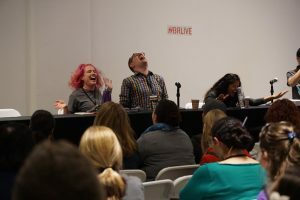 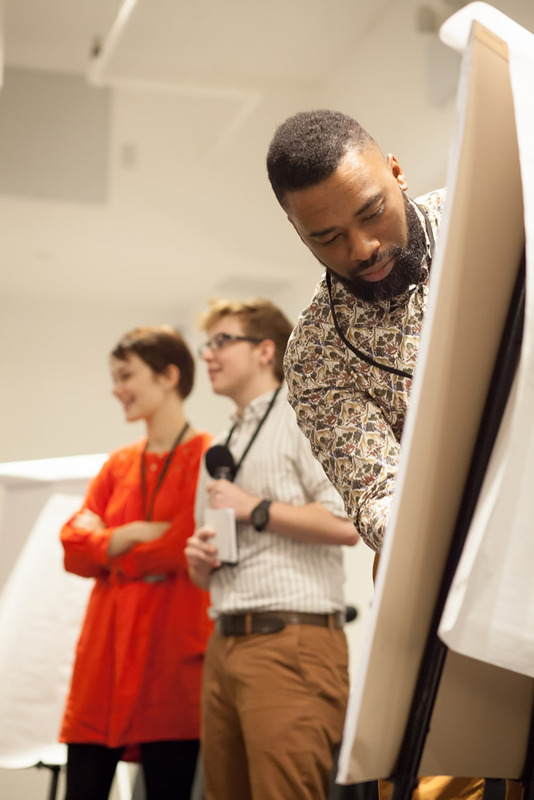 Sarah Andersen and MC Jackson Bird watch the audience while Valentine De Landro draws his Pictionary clue.